Josephine Swinhoe talks to Fight Through magazine on the issues surrounding hearing protection and the consequences of exposure to loud noises during military operations. The article is available to read below, along with a link to view the full magazine. Did you know that our hearing system is one of the most irreparable parts of the body? We all know that guy who claims to have cheated the Military hearing test. It’s not uncommon, especially amongst the Old and Bold. There’s even a standard joke about it. Normally if anyone mentions hearing damage, some wit will inevitably respond with “What?”. Your name appears on Orders or similar, and you groan inwardly at yet another mandatory, annual trip to the Med Centre, upon penalty of the pointy end of the Sergeant Major’s pace-stick. For all the enforced tests, however, are we really aware of the damage that has been done, and continues to occur every day of our Military careers? Often the truth is that some of the more long-in-the-tooth personnel, who are still serving, fear for the security of their job in the Forces if they were to admit any form of hearing problems. To combat this, the MOD provides very strict guidelines and rules about wearing ear defence. The good, old, green ear-muffs that live in the back your locker with your webbing, until range day. Unless you’re wearing them all day, every day at work, do we know what constitutes “damage”? Do we fully understand the accumulative strain on our fragile hearing? The “tipping point”, the watershed where a person’s hearing is irrevocably damaged, is still not known. For example, the SA80 rifle reportedly produces upwards of 150dB. Research states that any noise greater than 85dB can lead to hearing damage. 120dB can cause immediate hearing loss. So are the green cans doing enough to prevent this? On Op HERRICK the MOD provided “moulded”, individually fitted ear defenders. I remember my fitting, and being told to stare, motionless while the things set. But my hearing has never been the same since that tour. These are very specific areas being considered as a contributor to hearing damage. Every day we walk around in a noisy environment, for the most part. What more can we, or should we, be doing to ensure our precious hearing? 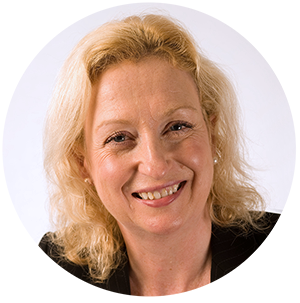 Josephine Swinhoe, former Captain with the disbanded Women’s Royal Army Corps served with 1st Battalion Royal Green Jackets and Intelligence and Security Group in Northern Ireland in the 1980’s and now Managing Director of the Tinnitus Clinic, explains. “Our hearing system is one of the non-repairable parts of the body. It’s made up of delicate hairs and bone structures within the ear on the outside of the head, and a mass of interconnected nerves on the inside in the hearing part of the brain. Once there has been damage done to hearing, it is impossible to get that back. "I don’t recall many soldiers in Northern Ireland going out with ear defenders on, it’s not practical. However what we can do, is to have ear protection when we attended clubs, or on the firing range for fun." If you are in a club or at a gig and have to shout to make yourself heard to the person next to you, don’t stay in that environment for more than 10 minutes at a time if you are not wearing some ear protection. That buzzing you get at the end of the night might be alcohol but it’s more likely to be tinnitus. So give your ears a break and step away from the music for a while. Did you know that hearing can be damaged by the noise of wind rush past your ears. If you are a road cycle racer or motor bike rider, wear ear protection to prevent damage. Don’t wait until you can’t hear to get your first hearing aid. Hearing is the nerve cells in the auditory cortex, or hearing part of the brain, responds to noise outside of the head. These noises are changed to a small electrical signal which travel to the auditory cortex and creates the ‘sound’ we recognise. A dog barking, or laughter, are all broken down into small electrical impulses in the brain. Once the brain stops receiving those signals it starts to shut down. It then becomes impossible to get those nerve cells working again if left unstimulated for a long period of time. 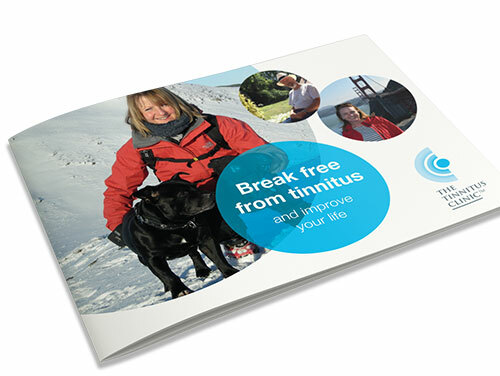 A hearing aid works because it is helping to get those noise signals right into the brain. Josephine concludes. “I know it’s really un-cool to wear a hearing aid. But not being able to hear is a lot worse. And there are many small hearing aids, and discreet ear protectors on the market today which can really make a difference."